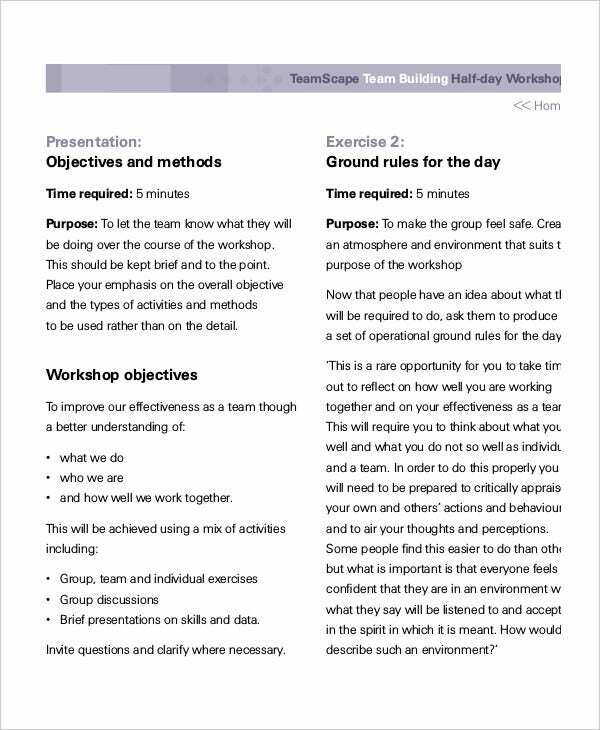 The Workshop Agenda Templates enable an organization to conduct workshops effectively and in a smooth manner. They help to draft items required for the workshop and methodologies to perform workshops like sessions, discussions, strategy planning, etc. They enable planning for various sessions and provide action plans as well as strategies. They enable to get feedback from the audience and participants of the workshop. One can search Google using improvement workshop agenda, workshop itinerary template or agenda team workshop and know their varieties. 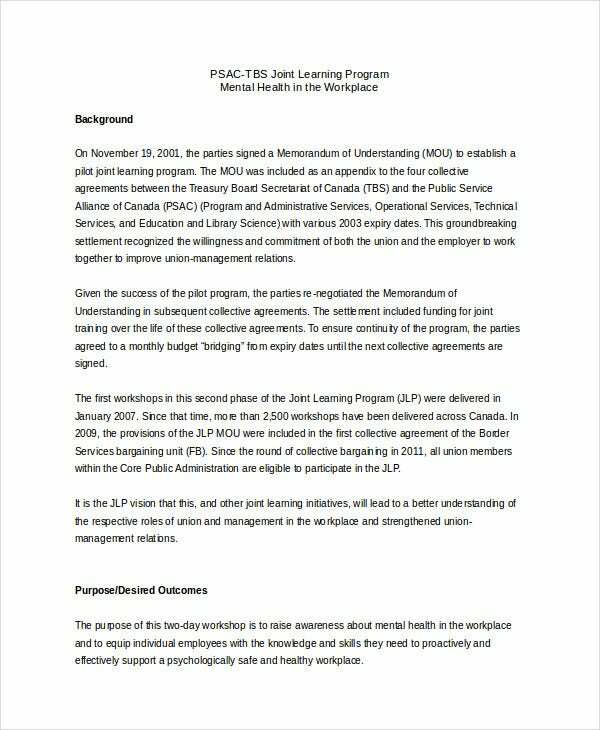 This workshop agenda Word template format provides help in building awareness about mental health in the workplace, exploring social stigma towards mentally ill people and supporting factors required for mentally ill people. It also provides a questionnaire to the audience at the end of the meeting. 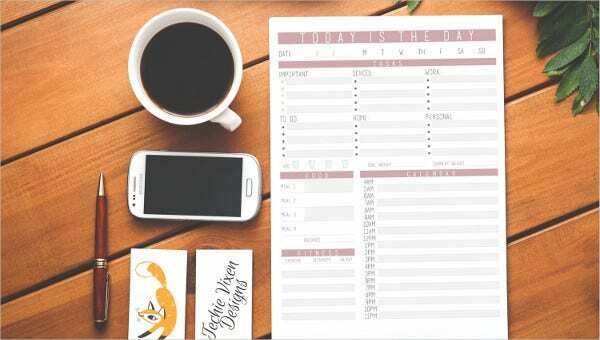 You can also see Professional Agenda Templates. 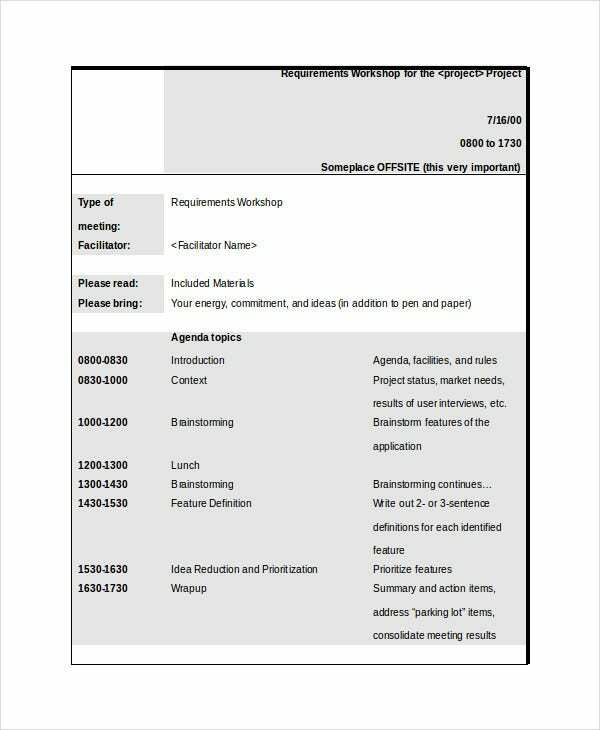 This workshop agenda template in Microsoft Word format provides agenda topics like introduction, project status, brainstorming sessions, defining various features and prioritization. It also mentions the facilitator’s name and the materials to bring for the meeting. 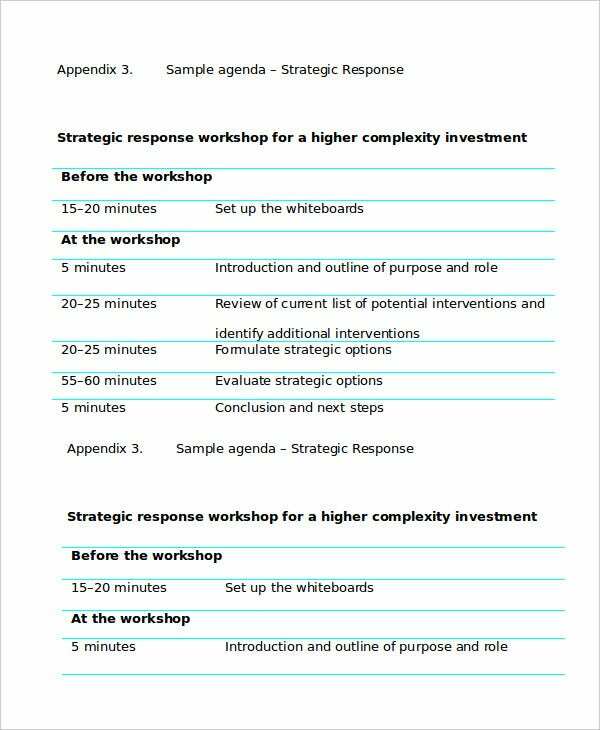 This strategy workshop agenda template provides various aspects of the workshop like delivering identified KPIs, preferred strategic options and their evaluation, responsibility of the facilitator and list of strategic interventions. 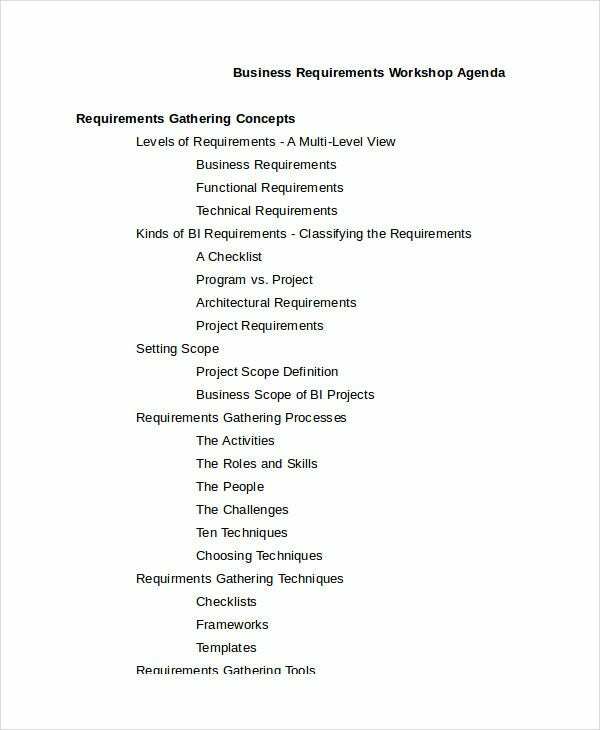 This business workshop agenda sample presents business requirement levels, requirement classification, scope, and the process and techniques of business requirements gathering. It also presents workshop activities like organizing, providing status report, planning, etc. 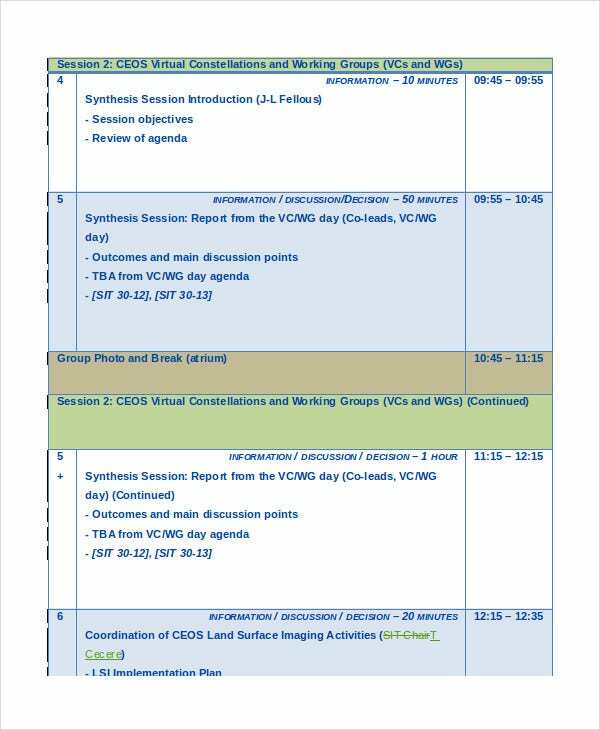 This Strategic implementation team technical workshop agenda presents the identification of discussion items and outcome of CEOS plenary. It presents seven sessions by allotting time slots for each item. It comes in Word document and is easily editable. > How to utilize the Workshop Agenda Templates Effectively? 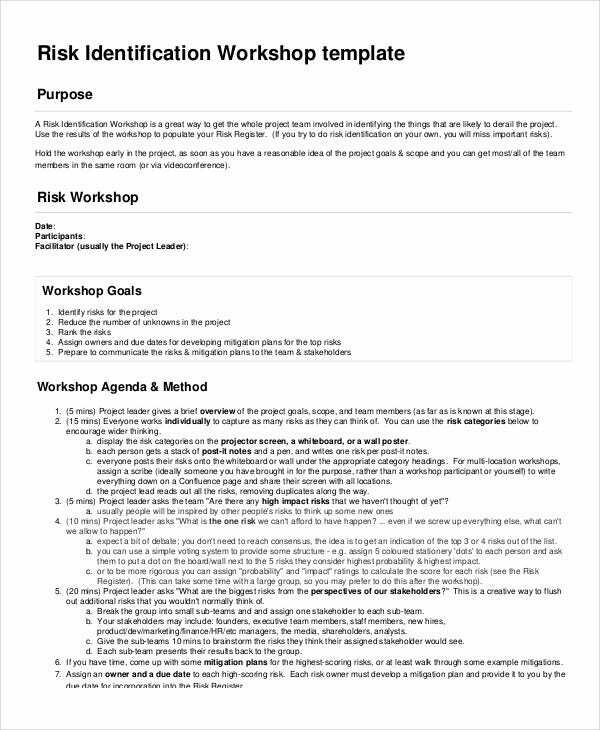 Workshop agenda templates should be used to prepare for the workshop by discovering, refining and prioritizing various items that need to be presented in the workshop related to the objective. Identifying and exploring principles, and best practices are some of the ideas that can be incorporated in the workshop. They should remain focused and should not deviate from the objective of the workshop. You can also see Planning Agenda Templates. They should facilitate visual demonstrations, brainstorm sessions, reviewing various projects and provide facts which help in making the workshop more virulent. They should enable discussion on benefits and achieving targets for various items. They should also be able to measure improvements and provide strategic analysis. > What are the items to be included in the Workshop Agenda Templates? The Workshop agenda templates should focus on preparing and conducting workshop meeting in an elaborate manner. They should be prepared after thorough analysis on the topic of the workshop. Ground work is required by the facilitator and the other members to conduct a successful workshop meeting. They should have brainstorm sessions, video sessions, discussions, reviewal of status reports, and should engage the participants to provide the inputs and useful materials. They should include various development activities and discussion on challenging aspects that could benefit the organization. They should be able to address the needs of the stakeholders and provide concrete solutions using work plans. > What are the Benefits of the Workshop Agenda? They help to project the performance of the company by demonstrating the achievements effectively to the stakeholders. You can also see Company Meeting Agenda Templates. There are varieties of workshop agenda templates available which suit different types of organizations. They can be utilized to conduct workshops in a smooth and efficient manner. They are also known as project agenda templates as they discuss various project strategies and review status of projects. They are invaluable documents for any organization.